The kaval, an eight-hole wooden “shepherd” flute, is one of the oldest instruments in Europe, rich in tone and technical possibilities. 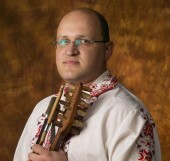 Theodosii Spassov has developed his own unique style of playing the instrument by synthesizing traditional folklore with jazz, fusion and classical music. Peyo Peev was born in Stara Zagora in 1975. He started playing with the Youth Folk Ensemble Zagorche and went on to graduate from the Filip Kutev National School of Folk Arts in Kotel in 1994. 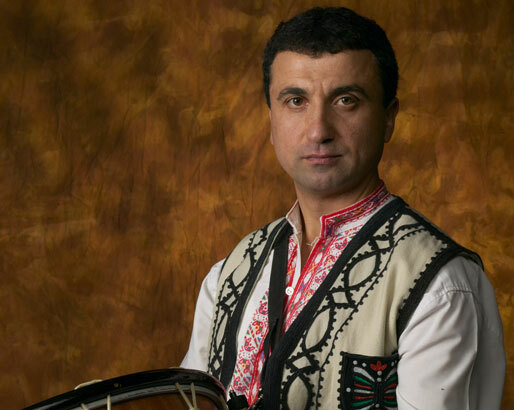 After graduation from the renowned Academy of Music, Dance and Fine Arts in Plovdiv in 1998, he joined the Filip Kutev National Folk Song & Dance Ensemble. 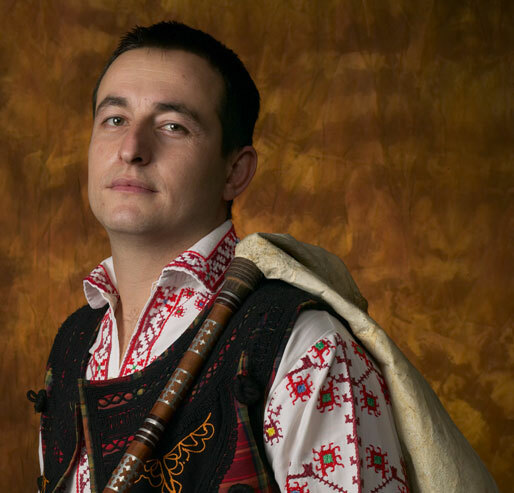 Today Peyo is a soloist with the Folk Music Orchestra of the Bulgarian National Radio. He has is a two-time recipient of the Golden Gadulka Award (1996 and 1997) – created in honor of the legendary Bulgarian gadulka player Yanko Petrov. Ivan Georgiev was born in Burgas, Bulgaria in 1976. He graduated from the Filip Kutev National School of Folk Arts in Kotel, in 1995. 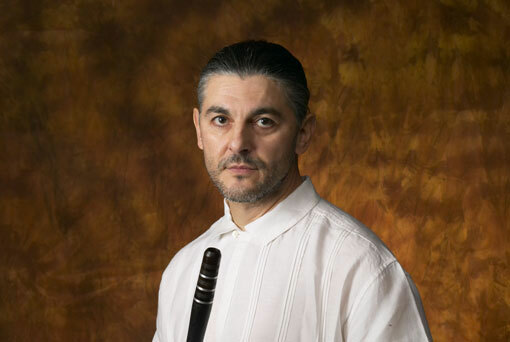 He specialized in bagpipe and folk orchestra conducting at the renowned Academy of Music, Dance and Fine Arts in Plovdiv, from which he graduated in 1999. Today he is on the faculty of the Academy and regularly performs with its National Orchestra. Ivan also tours with the acclaimed Bulgarian women’s choir The Mystery of Bulgarian Voices and also as an accompanist to the vocal quartet Slavei. He makes regular appearances in international piping festivals all over the world such as the William Kennedy Piping Festival in Northern Ireland in 2007. ”…. musician with stunning technical mastery of both the djura gaida and the kaba gaida. Ivan has a passion for his culture’s music and a flair for engaging his audiences and taking them into realms of musical experience they had not imagined. Genadiy Rashkov was born in the Bessarabian Bulgarian village of Suvorovo, in South Ukraine in 1973. 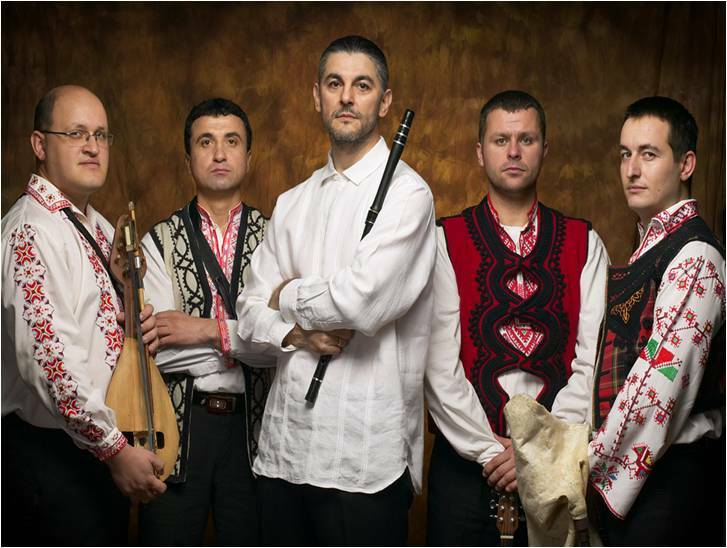 Following high school graduation in 1990, Genadiy performed for four years with the Bulgarian ensemble at the Moldova Philharmonic Orchestra in the city of Taraclia. Petar Milanov was born in 1977 and started playing at the age of 6. He studied tambura and piano at the famous Music Folklore High School in Shiroka Luka. Shiroka Luka Village is a unique architectural and ethnographic reserve in Bulgaria. It is a symbol of the culture and the spirit of the Rhodope Mountains. The village is famous for its unique Rhodopian style, music traditions and history. Petar is interested in exploring fusion among different instrumental technique and has recorded performances on guitar, bass and bouzouki. 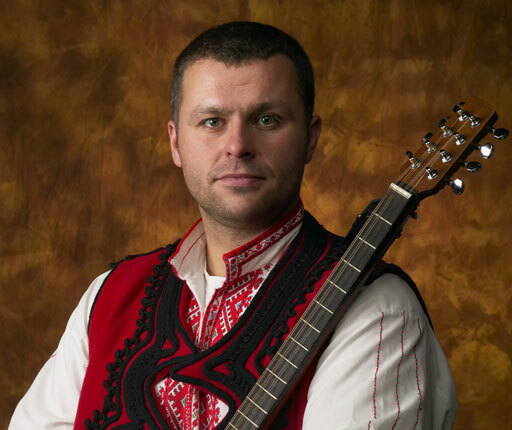 Currently, Petar plays and tours with the world acclaimed Filip Kutev National Folk Song & Dance Ensemble.